Elizabeth has more than 30 years of experience as a speech language pathologist, and has worked with preschool-aged and school-aged children with communication disorders in the area of articulation, receptive and expressive language, voice, and fluency in public schools and in the private sector. Elizabeth has treated and evaluated children ages 0-3 years in early intervention programs. 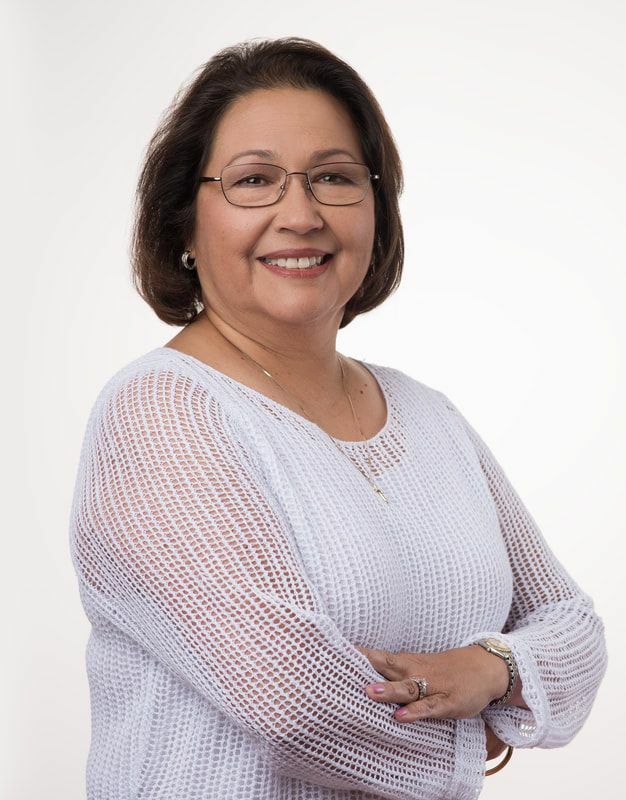 As a bilingual (English and Spanish) speaker, another important aspect of Elizabeth’s professional experience has been working with bilingual children and their families. She has worked with children with cognitive impairment, specific learning disabilities, hearing impairment, cleft palate, cerebral palsy, feeding disorders, and autism spectrum disorder. Elizabeth has used a range of treatment strategies to include, oral communication, sign language, picture exchange systems, alternative augmentative communication devices, and visual support systems. Elizabeth is certified by the American Speech-Language-Hearing Association (ASHA), licensed by the Virginia State Board of Audiology and Speech-Language Pathology, and holds a Postgraduate Professional License from the Commonwealth of Virginia. She graduated from Radford University with a Bachelor of Arts degree and received a Masters of Education degree from Columbus State University. She is trained in the Lindamood-Bell programs Talkies© and Visualizing and Verbalizing©, and has completed Introduction to PROMPT©: Technique. In 2016, she founded Discovery Speech and Occupational Therapy, LLC, a private practice that acts as a one-stop center for children and families in need of speech language therapy and occupational therapy. In her leisure time, Elizabeth enjoys the beaches of North Carolina's Outer Banks, running 5k’s for charity, and spending time with her husband, Chris, and traveling to visit her daughters and grandson. Carole earned a Bachelor of Science degree in Health Science and a Master of Occupational Therapy from James Madison University. She has occupational therapy experience working at a skilled nursing facility with adults rehabilitating from cerebral vascular accidents, cardiac conditions, amputations, respiratory failure, joint replacements, traumatic brain injury, and spinal injuries. Carole has working experience with children and adolescents at a private pediatric practice. She works with children who have a variety of challenges including autism spectrum disorder, sensory processing disorder, cerebral palsy, Down syndrome, developmental delay, hypotonia, attention-deficit hyperactivity disorder, oppositional defiant disorder, and dysgraphia. She has experience collaborating with patients, families, and rehabilitation team members. Carole values a team-oriented and client-centered therapy approach. Carole has supervised fieldwork level II OT and OTA students preparing for graduation. Carole has special program pediatric expertise with Handwriting Without Tears®, the Alert Program- How Does Your Engine Run?®, Zones of Regulation®, DIR-Floortime®, and Social Thinking Curriculum®. Carole has Handwriting Level 1 and Early Intervention certification. She has co-treated with speech language pathologists for social skills groups and speech/OT camps for children. Carole has led small focus groups on self-regulation skills and handwriting skills. Carole has a passion for working with children, families, and collaborating with other health care professionals. In her spare time, she enjoys time with her family at the beach, running, and traveling with her husband!